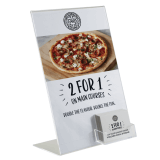 A Twin Four Tier Business Card Holder is an ideal way of gaining exposure for your business and employees. The holder features eight compartments set out in four rows of two for you to neatly store your business cards away. 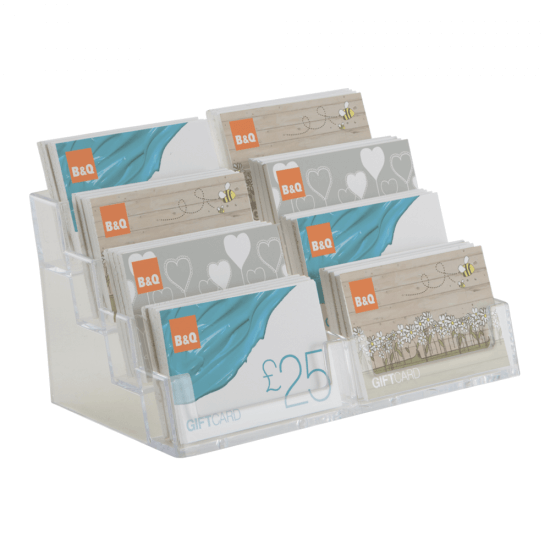 This is a great way of saving space on your table or desk top as the card holder is counter standing. 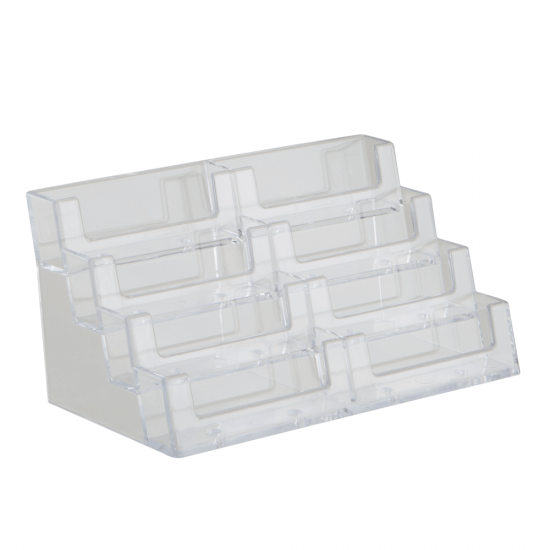 What is the business card holder made from? 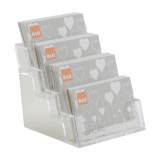 The business card holder is made from clear styrene, so you can clearly see the cards in each compartment. Is the business card holder portrait or landscape? 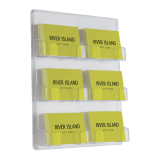 The card holder comes in a landscape format only. Overall Size 20cm x 9.5cm x 9.5cm 7.9" x 3.7" x 3.7"
Internal Size 9.3cm x 1.8cm 3.6" x 0.7"